A geogrid is a grid structure of polymeric material formed by weaving or knitting intersecting ribs with appropriate apertures (opening sizes). This allows interlocking with surrounding soil, rock, earth and other materials. 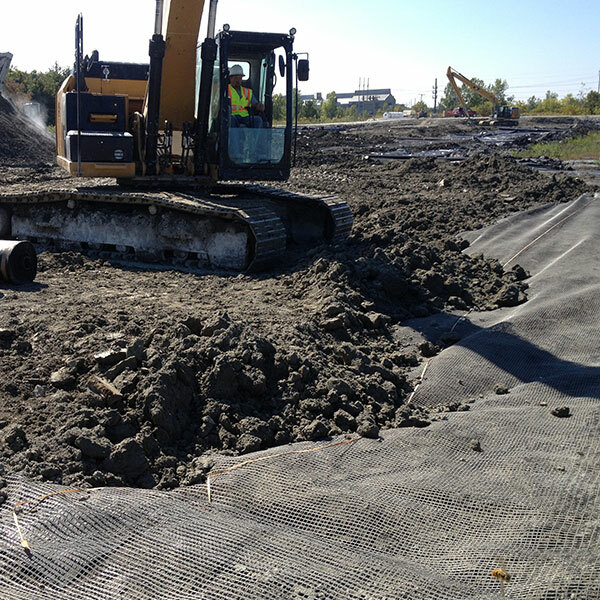 Geogrids are primarily used in reinforcement applications, but may also be used for separation. Depending upon manufacturing techniques and materials, geogrids can be designed to resist creep when subjected to high loads for long periods of time or resist high, short-term dynamic loads. 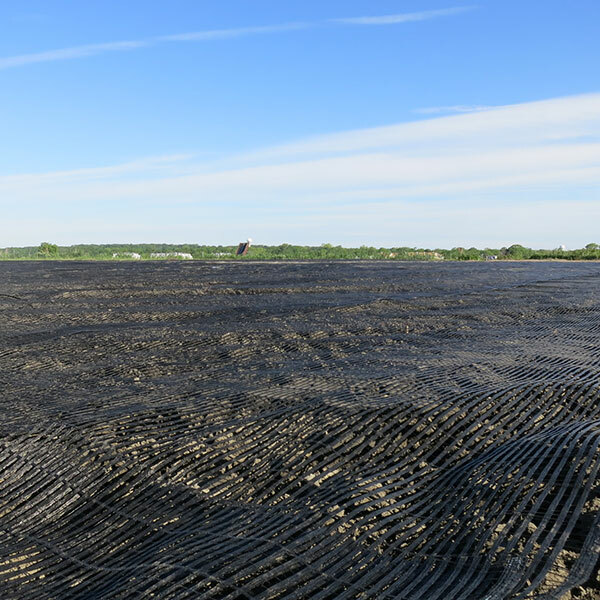 Need help choosing a geogrid? 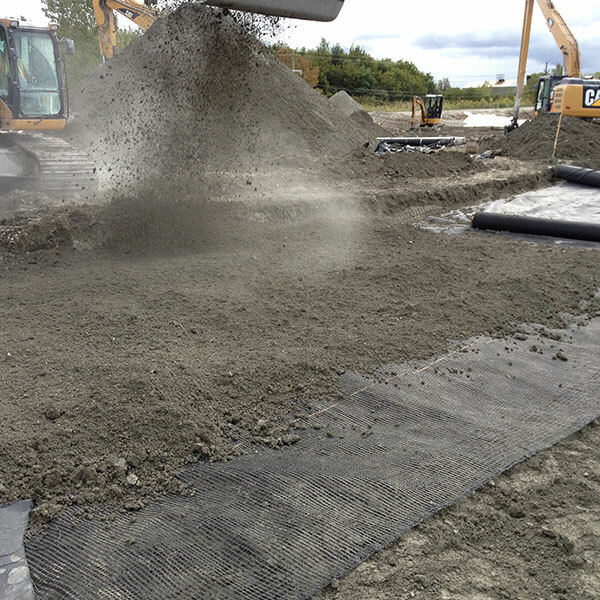 Not sure if you should use a geotextile too? Please call us at 609-971-8810. We’ll answer your questions and help you select the most cost-effective product for your application. Uniaxial geogrids are specifically designed to endure stress in one direction. Their main strength is in the machine direction. This makes them suitable for both wall and slope applications. For example, retaining walls, landfill liner systems, embankments over soft soils, and extra steep earthwork slopes. Biaxial geogrids provide equal strength in both machine and cross directions. This makes them suitable for applications where stresses can occur in any direction. For example, foundations of roadbeds, parking lots, railroad track beds, airport runways, permanent unpaved roads, construction haul roads, and working platforms on weak subgrades. TriAx® Geogrids are manufactured from a punched polypropylene sheet oriented in multiple, equilateral directions to form its triangular apertures to provide an enhanced level of in-plane stiffness. This feature yields a more efficient product that delivers optimal in-service stress transfer from the aggregate to the stabilizing geogrid. Applications include load transfer platforms as well as roads, highways, railways, airports.